More Guest Names Announced As STGCC 2012 Countdown Begins! As expected, we're getting the chance to meet more great artists at the Singapore Toy, Game and Comic Convention (STGCC) 2012! 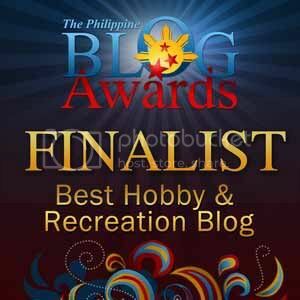 Jason Paz and Martin Hsu to name a few will be gracing the event halls with their great talents. This is our chance to get those signatures on our collectibles and probably give them more value. Want to know who else is on the list? Go ahead and check the official Press Release after the break. 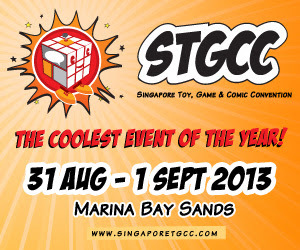 More guest names announced as countdown to STGCC 2012 begins! One of the new names at STGCC, Jason Paz’s remarkable works have graced the pages of Incredible Hulk, Marvel Zombies Supreme, Thor: Deviants Saga and Agents of Atlas. Apart from comics, his versatile pen strokes can be seen on popular sketch card sets for the A-list trading card companies Upperdeck, Rittenhouse Archives and Cryptozoic Entertainment’s The Walking Dead. Martin Hsu is figuratively and literally the new kid on the block at STGCC. A character designer at Disney TV Animation and Nickelodeon, the all-time popular children’s entertainment TV channels, Martin is also developing his own brands such as Dragon Boy and CRAKENS. Martin’s works have also been featured in major exhibitions for Sanrio, Hasbro, and Disney. Also joining this year’s personality line-up are comic illustrators Mico Suayan (works include Marvel Comics’ Thor, X-Men Legacy and DC Comics’ Batman Arkhan Unhinged), Carlo Pagulayan (drawn the pages of Marvel Comics’ Elektra, X-Men Unlimited and Marvel’s Planet Hulk with well-respected writer, Greg Pak) and Stephen Segovia (whose rich portfolio includes DC’s Countdown to Mystery and Marvel’s Wolverine Origins, Might Avengers, Silver Surfer and Ultimates vs Ultimates Avengers). Toy personalities Koto Nishiyama and Shinichiro Kitai of DEVILROBOTS fame will be on board STGCC as well.